Not sure if you can pull off a full Chewbacca hoodie? This Chewbacca backpack is a nice compromise because the furry hood is detachable for those times when you’re not waiting in line with hundreds of other understanding Star Wars fans. 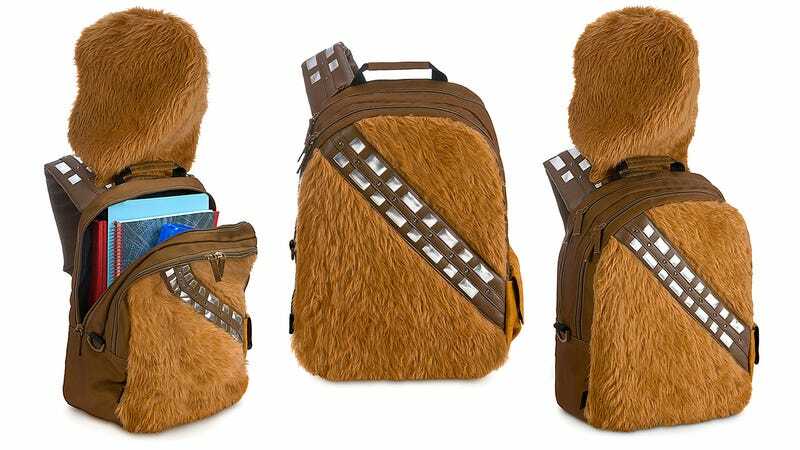 The back is covered in faux fur, partly because it helps keep the backpack’s price at around $25, and partly because genuine Wookiee fur is hard to come by in this galaxy. The pack features just a single cross-body style strap, but that actually works in its favor because it ends up looking like Chewbacca’s bandolier while you’re wearing it. Clever, right?